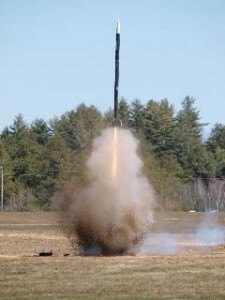 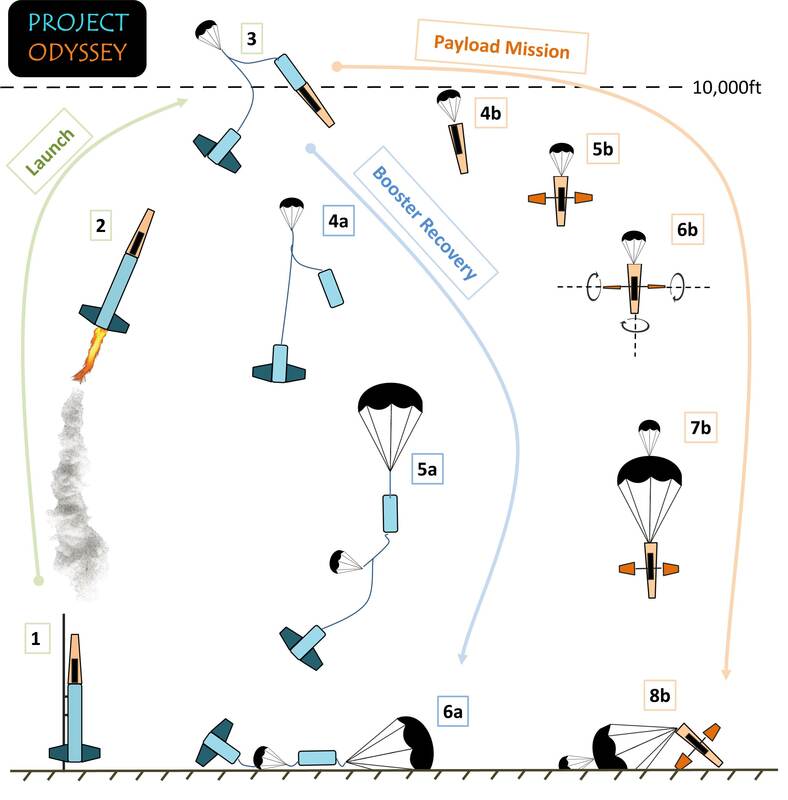 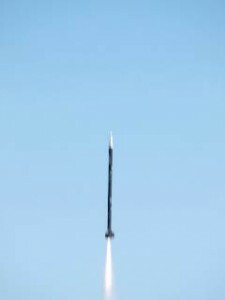 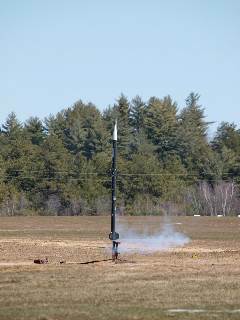 The MIT Rocket Team is currently developing Odyssey, a solid fueled rocket designed to carry a 10lb payload to 10,000ft in an effort to compete in the Intercollegiate Rocket Engineering Competition in June 2015. 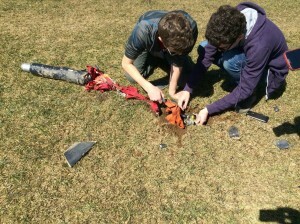 Originally, the team was working on a liquid fueled engine. 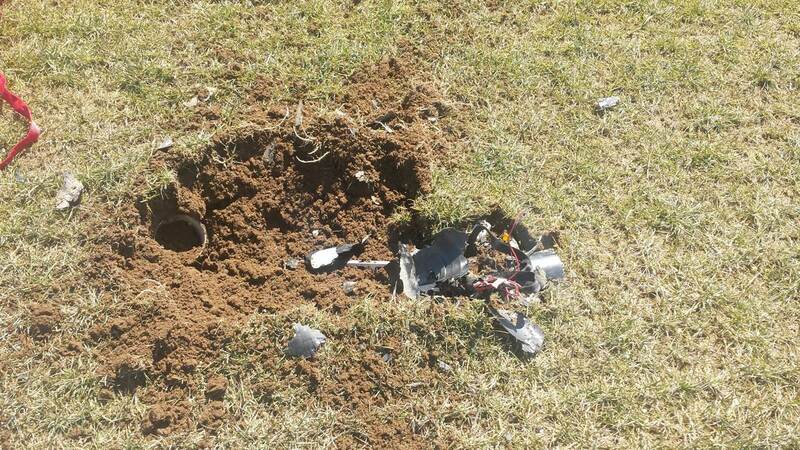 Due to loss of access to a blast chamber in February, progress on that project is postponed indefinitely. 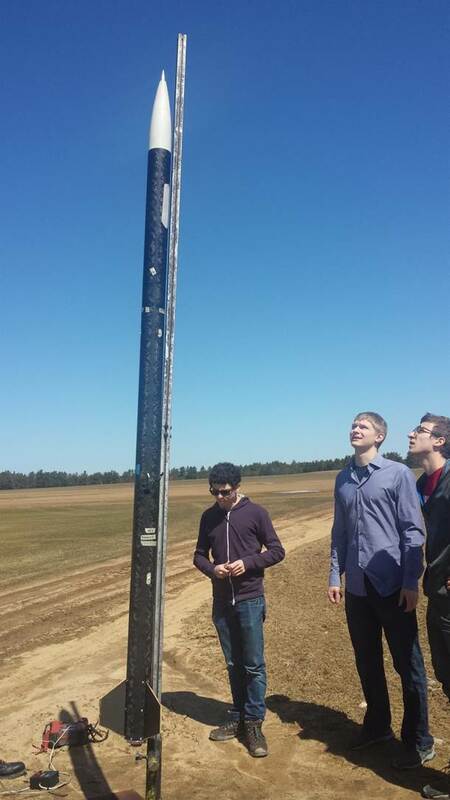 Fortunately, the team had already developed a back-up plan for a solid fueled rocket. 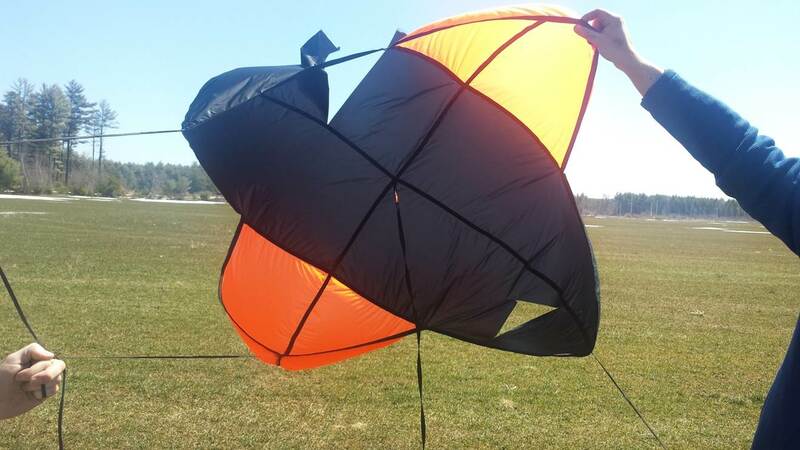 In a matter of 3 months we were able to conduct our first test flight on April 12th in Maine. 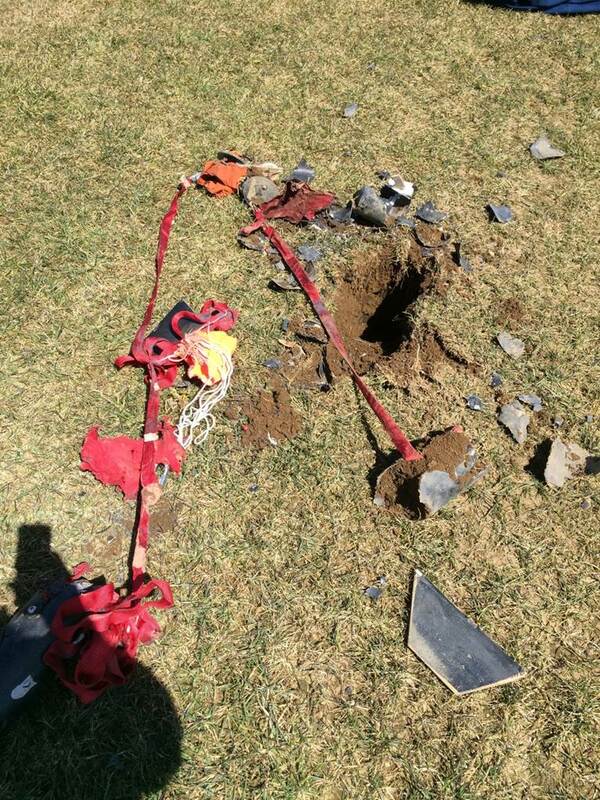 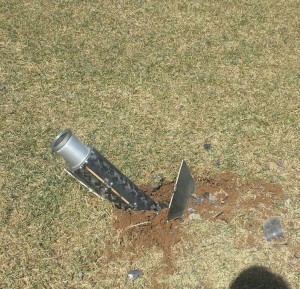 Fortunately, the destroyed rocket does not hinder our efforts in competing at IREC in the summer. 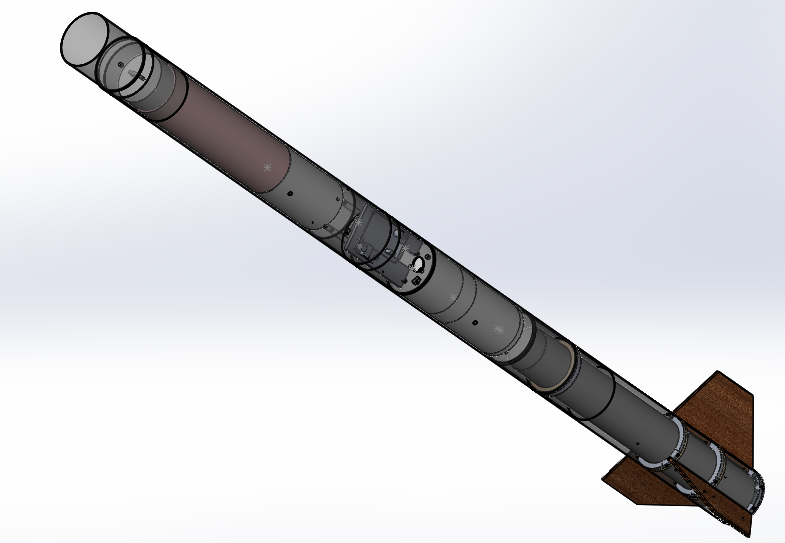 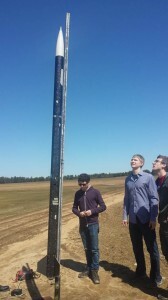 The design is completely finalized and team members already have experience building the rocket. 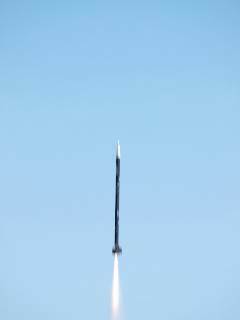 The plan is to launch again on May 9th 2015. 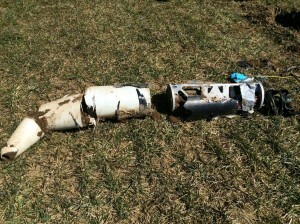 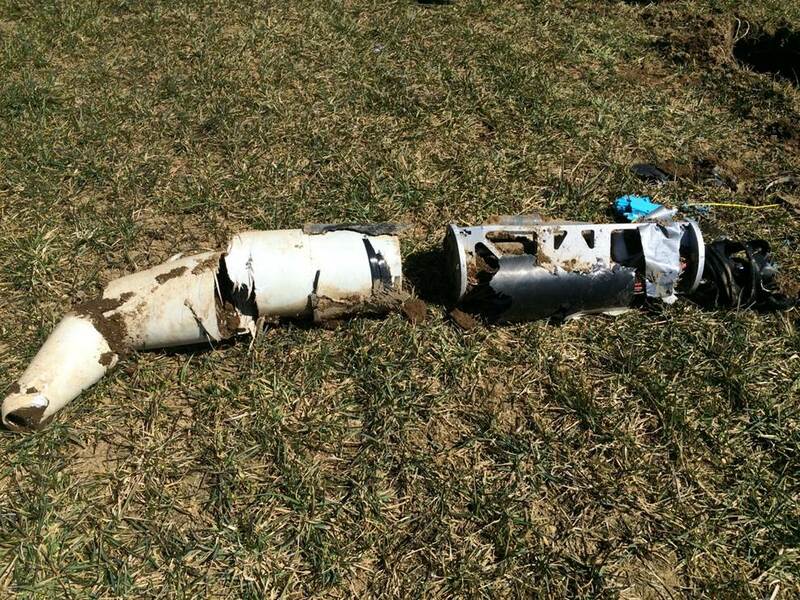 The recovery failure was puzzling mostly because the team performed successful black powder tests on the ground to make sure that the tubes would separate and break the shear pins. 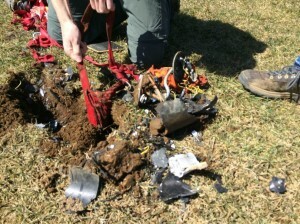 “Landing” – The crash site was well documented in order to do proper investigation for the cause.